This news may shock you – mortgage underwriters actually look at a borrower’s credit report. Notice I said, credit report, not credit score. The score is only one component of the full report. 620 for FHA and VA loans. Mortgage credit scores are different from consumer credit scores people get from websites like credit karma. Issues pertaining to past mortgages carry more weight on a mortgage score than a consumer score. So your mortgage score may differ significantly from a consumer score given to you by a credit card company or a website. I’ve had clients with mortgage scores higher than their consumer scores and other clients with scores less than their consumer scores. You never know for sure until you actually pull the mortgage report. 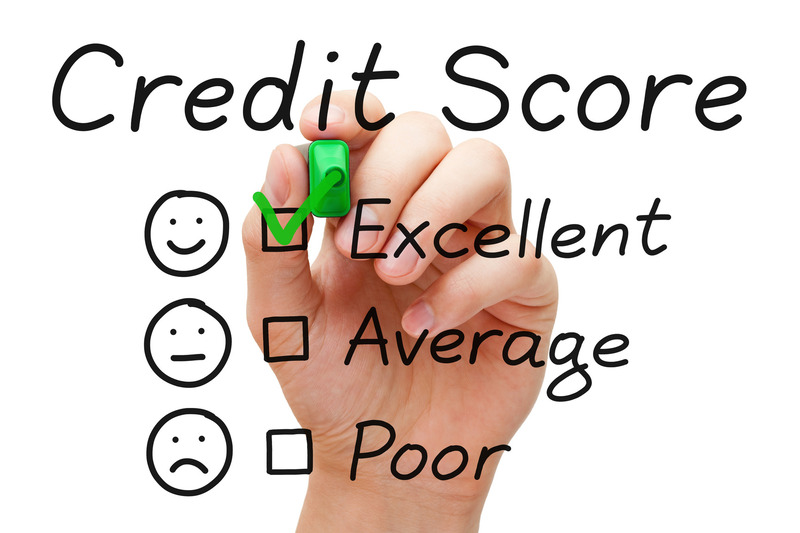 We look at scores from all three credit bureaus – Equifax, Experion, and Transunion. We are required to use the borrower’s middle score for loan qualification. And if there are multiple borrowers, then the lowest middle score is the score we use to qualify the application. When I pull a report, if the score is less than 620, the client and I will discuss ways that they can improve their score, which may be simply waiting for their score to rise while they pay their bills on time, or contacting a credit counselor who might be able to help improve their score. Regardless of how good the score is, I will look carefully at additional report details. Sometimes these details can cause some underwriting questions or challenges, even if the score qualifies. It’s usuaully best to deal with any credit questions proactively. Home buyers deserve to know as early as possible whether they can realistically win loan approval. There’s no need for them to waste their time or a Realtor’s time searching for a home when they cannot qualify for a mortgage. We will review other key credit report details in future blog posts. But for now, if you know someone looking to buy a home in Georgia, and this person may have a few “skeletons” in their “credit closet,” (hey Halloween is approaching! ), refer them to me. I’ll take the time to look at all the details, giving them the level of service they truly deserve. In the last blog post, I introduced the FHA “streamline” refinance loan. These loans are the fastest, simplest way for FHA mortgage holders to refinance to today’s low, low rates. The streamline program simplifies home refinancing by waiving the documentation typically required for a mortgage, including income and employment verification, credit score verification, and an appraisal of the home. Homeowners can also possibly use the program to reduce their FHA mortgage insurance premiums (MIP). 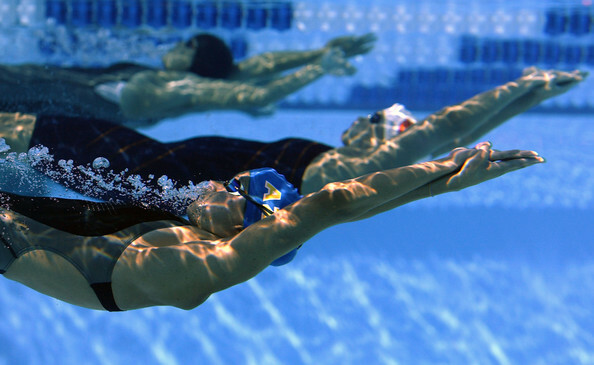 Like an Olympic swimmer reduces friction by “streamlining” when underwater, the FHA streamline refinance offers much less resistance and effort than a regular purchase loan. No appraisal is required – FHA will use your original purchase price as your home’s current value, regardless of what the house is worth today. No employment verification is required with the streamline refinance. No detailed review of your credit report is performed. If your score is 600 or higher, you qualify. So to sum up the benefits, you can be (a) out of work, (b) without income, (c) have a low credit score, and (d) be underwater on your home mortgage and you can still qualify for an FHA streamline refinance. Now this sounds crazy. Why would they do this? Well remember, to qualify, you must already own the home and have an FHA mortgage. We are not qualifying you to take on a new mortgage payment for a new house. The FHA is already committed to insuring your home mortgage. Therefore, it is in the FHA’s best interest to help as many existing mortgage holders as possible lower their payments. By lowering payments, they will lower the default rate. So this program helps the FHA, but it also helps the borrower who can lower his monthly payment. In the next post, we will review example scenarios where this type of loan can really help the homeowner. But for now, if someone you know in Georgia has a FHA mortgage with an interest rate of 4.00% or higher, have them call me to discuss a potential refinance. We’ll run the numbers together to make sure it’s a good financial move for them. If you have a conforming loan (not FHA and not jumbo) and you can lower your rate by 0.5%. If you have a FHA loan obtained between 2010 and January, 2015 – even if you obtain a new FHA loan, FHA mortgage insurance premiums have declined significantly – this may lower your payment significantly. If you pay mortgage insurance on your home loan, you can look to refinance to a lower rate and possibly drop your insurance payment depending on how much your home has appreciated since you bought it. If you have a jumbo loan and can lower your rate by 0.25%. To refinance you will incur closing costs. Even if the closing costs are rolled into the loan balance you still ultimately pay those costs over time. So you need to determine if your monthly savings is worth the closing costs you will pay. We calculate your breakeven point in months by dividing your refinancing costs by the savings on your monthly payments. You need to ensure that refinancing will benefit you financially. Consider this question first…”How long do you plan to stay in this home?” If your breakeven point is after you think you will move out of the home, it’s probably best for you not to refinance. If your breakeven point comes before the date you think you will move, then you should consider refinancing. Not sure if refinancing is a good option? That’s OK. Contact us here at Dunwoody Mortgage. We will ask you a few questions, and then we can determine your monthly mortgage savings and calculate your breakeven point. We can discuss your options and, if refinancing makes sense for you, we will pursue it and give you the best possible rate, competitive closing costs, and outstanding customer service. You have nothing to lose. Don’t miss this opportunity. Call us now before rates go back up!! When you are looking to buy a home, one primary consideration is, “What interest rate will I pay for my mortgage?” I’ll borrow the saying “have your cake and eat it too” in order to explain. This is one case in life – when working with the right lender – you can actually have your cake and eat it too! Get out your fork and napkin while I explain. The base layer of your cake is a quick description of a rate lock. You lock the interest rate for the period of time you need to close on your home. Options include 15, 30, 45 days, etc. The next layer of your rate lock cake is the fact that when you lock, your interest rate will not increase even if market rates rise significantly before you close. You are locked in and won’t pay more as long as you close within your lock window. You’ve just addressed the first horn of your dilemma. Now the sweet icing on your rate lock cake…some lenders, like the ones we at Dunwoody Mortgage represent, offer interest rate “float down” options. If rates improve before you close, you can have the opportunity to “float down” to a lower mortgage interest rate at no cost to you – dilemma solved!! Financing your new home purchase with Dunwoody Mortgage can protect you against rate increases and decreases. Your dilemma is solved as you don’t have to worry about when to lock OR what if rates improve! If you are looking to buy a home in the state of Georgia, and want this kind of interest rate security, then give me a call. I would love you help you have your cake and eat it too. Unlike some movie sequels that get filmed (really, we needed a Spy Kids 4?!? ), the Homes Affordable Refinance Program, known as HARP, needed a sequel. Why? Just like Rebook realized they needed to make more “office linebacker” commercials after its popularity from a past Superbowl, HARP needed some revisions to be more readily available to homeowners so more people can enjoy it! Reebok knew what they were doing! The original intent of HARP was to allow borrowers who were somewhat underwater refinance their mortgage into a lower rate. On paper, it sounded great. Sadly, unforeseen issues arose that didn’t allow the program to be as effective as the government hoped it would be. No maximum loan to value limit. Once this part begins (to start in 2012), homeowners can be 200 or 300% underwater and still refinance to a loan without paying mortgage insurance if there is not mortgage insurance on the current loan. Up to 125% loan to value ratio to be allowed with any mortgage company. This should get underway starting in December. Presently only your current mortgage servicer was allowed to go that high, which limited consumer’s ability to shop for the best interest rate. Homeowners have no late mortgage payments in the last 6 months, and only one late mortgage payment of 30 days in the last 7-12 months. In other words, if you are paying on time, you could refinance without income verification. As long as Fannie Mae or Freddie Mac own your mortgage, you got the mortgage prior to the end of February 2009, and you are current with the payments, there is a good chance you’ll qualify for new and improved HARP 2 loan program. How do I know if Fannie Mae or Freddie Mac own my mortgage? Great question! You can use their online lookup tools. Use this link for Fannie Mae. Try this link for Freddie Mac. How do I get started? If the property (primary residence, vacation home or investment property) is in the state of Georgia, I can help you get started. Contact me and we will take it from there. Remember HARP 2 is not here yet, but it is coming soon. Refinance applications for the updated program can start in December, but some parts may not be available until 2012. Stay tuned to The Mortgage Blog for updates on all aspects HARP 2 availability in the coming weeks! The government announced changes to the HARP program this morning (October 24, 2011). I know there will be lots of questions about the program and the changes, so let’s try a “Q and A” approach to this post! A: HARP is the Home Affordable Refinance Program, but like characters from the Lord of the Rings, it has many different names including Making Homes Affordable, DU Refi Plus, Freddie Relief, and some even refer to it as the Obama Refi Plan. 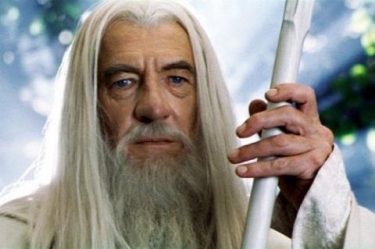 Like HARP, Gandalf has many names including Gandalf the Grey, Gandalf the White, The White Rider, Greyhame, Mithrandir, Stormcrow, The Grey Pilgrim, Tharkun, Olorin, Láthspell… you get the idea. Q: Does anyone qualify for HARP? A: No. There are two main items that each current homeowner must meet to qualify. First, either Fannie Mae or Freddie Mac must own your mortgage. Second, Fannie or Freddie must have received your loan prior to June 1, 2009. Q: How do I know if Fannie Mae or Freddie Mac own my loan? A: Great question! It is nice that Fannie Mae and Freddie Mac have both created a look-up tool to make it easier to find out if they own your mortgage. To use Fannie Mae’s, use this link. For Freddie Mac, go here. A: Yes, there are other items that potential borrowers must meet. These include being current on your mortgage payments, no late payments in the last 12 months, a qualifying credit score, and borrowers still must qualify based on their income. Q: NEW – Are there loan to value limits? A: No, there are now no loan to value limits to qualify. You can be 200% underwater on your mortgage and still qualify to use HARP. This was previously a major holdup to homeowners qualifying to use this program, and it has now been eliminated. Q: If I have less than 20% equity in my home, will I have to pay PMI on the new loan? A: No, you will not have to pay PMI on the new loan regardless of the loan to value/amount of equity in your home. Q: I pay PMI now, can I qualify for the HARP program. A: Your PMI payments on the new loan will not go up, but the transfer of your PMI from your current loan to the new loan will require some extra steps. Let your loan officer know if you have PMI on your current loan. Q: I have a second mortgage on my home. Can I still qualify? Would I have to consolidate into one mortgage? A: Yes, you can still qualify for HARP, but not by consolidating the mortgages. HARP does not allow homeowners to consolidate loans. The second mortgage company must agree to subordinate behind the new first mortgage. The revamped HARP may allow auto-subordinations to occur, which will make it easier for homeowners to use HARP if they have a second mortgage. Q: Can I refinance any property? A: Yes, you can. Primary residence, second homes, and investment properties can all qualify for HARP. Q: NEW – Can I use HARP with any lender? A: Yes, you can use any lender to refinance your mortgage. Prior to the loan to value changes from 125% to no limit, homeowners were required to use their current loan servicer to go up to 125%. That is no longer the case. Q: When will these changes go into effect? A: Lenders should begin coming out with updated guidelines in the next few weeks. Homeowners can more than likely begin using the revamped HARP in December 2011. The HARP is currently extended to go through the end of 2013, so there is plenty of time to take advantage of it! Q: I have more questions, and would like to get started. What do I do? A: If the property is in the state of Georgia, I can help get you started with the refinance process. Contact me and we’ll get underway with the process and answering any additional questions you have about HARP. If the property is not in the state of Georgia, contact a local loan officer/lender to get started. Like the Lord of the Rings, the HARP has a lot of names and details that go with it. Unlike the Lord of the Rings, it won’t be an grand, epic, and sometimes exhausting 1,000+ page read cover to cover… but both come with a happy ending! As you can probably imagine, I’ve heard this question a lot lately. It is a great question – when should one consider refinancing their mortgage? The first step is to know your current interest rate. If the available rate is a half point lower than your current interest rate, it is worth a 5 minute call to your mortgage consultant. That is all it takes – 5 minutes and you’ll know! Once those answers are provided, I can run a quick scenario to let you know a new monthly payment, closing costs, and the break even point* on the new loan. * – “break even point” is the closing costs needed to refinance divided by the monthly savings. That number shows how many months it would take to make back the money it costs to complete the refinance. Now for the most important question of all – how long do you plan to remain in the home? Why is this question so important – well, if you know how long you plan to remain in the home AND then compare that time line to the break even point, it becomes clear pretty quickly whether or not it makes sense to refinance. Remember, most people believe “should I refinance” is the most important question to answer. Knowing how long you plan to stay in the home is just as important. Saving money is great, but not if it doesn’t make sense in the long run. To ensure it is the best situation for you, make sure to know “how much” you’ll save AND “how long” you’ll be saving it. “Should I refinance”, yes that question has become about as common as “are we there yet” on road trips! If you’d like to know the answer to that question, you know how to find me. Even though I’ve been asked that question a lot recently, I promise I have a much better disposition than Homer does handling repeated questions! Interest rates are at historic lows and many home owners are looking to take advantage of these rates. So, did you refinanced your mortgage before rates dropped to their current levels? Are you considering refinancing your mortgage now? If so, then this recent podcast I recorded might be helpful for you. Below is a brief transcript of the Q & A interview, but listen to the entire podcast for more of details on when to refinance and options that are available. Q: When is a good time to refinance a mortgage? A: There is no exact rule of thumb because it depends on a client’s specific situation. That said, once the interest rate is a half point lower than their current rate, it is worth the time to make a call to learn about available options. Q: What factors should one consider when refinancing? A: The primary determining factor will always be how long one plans to remain in the home. If a refinance could save you $200 a month BUT the break even point (closing costs / monthly savings) is 24 months AND you plan to move in a year, then the numbers indicate it might not make sense to refinance. I have found that most clients can safely estimate the next 3 years, so if the break even point is 36 months or less, people tend to move forward with the refinance. Q: Please explain no closing cost loans? By agreeing to a higher interest rate, the lender will provide the funds to cover the closing costs for the refinance. The borrower may not pay for the closing costs at the closing table, but will pay more each month over the life of the loan because they agreed to a higher rate for the refinance. In some shape or form, the borrower will “pay” for closing costs – either up front OR every month they make a mortgage payment. Q: Should one go with an ARM or Fixed mortgage? A: The answer goes back to how long someone plans to stay in the home. ARMs are currently in the mid to low 3’s. If you only plan to stay in the home another, say 4 years, a 5 year ARM would be fixed for all the years this person plans to remain in the home and might be a better option (and today a better rate) than going with a fixed mortgage. In short, answer the question “how long do you plan to remain in the home?” and it is easier to find the loan program that is best for you! Q: Any loan programs available for home owners underwater on their mortgage? A: Yes, the US government passed a bill called Making Homes Affordable for home owners who acquired their current mortgage prior to February 2009. There are some specific items a borrower must meet to qualify, but is a great program for those that do qualify. I’ve blogged about this loan program in the past, and will be glad to answer any questions about the Making Homes Affordable program. For more information on getting prequalified to refinance your existing mortgage (if you are in Georgia), don’t hesitate to contact me! Beware if your Adjustable Rate Mortgage is LIBOR Based! Everyone has read it in the newspapers and heard it on the television, the debt and banking problems of Greece, Spain and Europe. Everyone wonders how it will affect the United States or more importantly, me! The affect has been positive on the United States mortgage rates because everyone is moving their money to US debt since it looks to be much more stable than European debt. If you are a homeowner and enjoyed the wonderful low rate of an adjustable rate mortgage, be very careful. If your ARM is a LIBOR arm, all indications is your rate will be increasing very soon. The LIBOR is Europe’s equivalent of the Treasury. As the European banking system continues to struggle, the LIBOR will continue to increase to take into account the risk associated with the potential of default of debt. In the short-term, borrowing costs are climbing faster for European banks than American and the cost of insuring against default on debt issued by European financial firms is climbing. The possibility exists this event could have significant upward pressure on the LIBOR rates which will result in you LIBOR based ARM to increase in the next adjustment period. If we have a catastrophic event occur in Europe’s banking system, it will significantly affect your LIBOR based ARM. Do miss out on the opportunity to refinance your home on a fixed rate mortgage while rates are low. A storm looks to be brewing in Europe that could affect your payment.